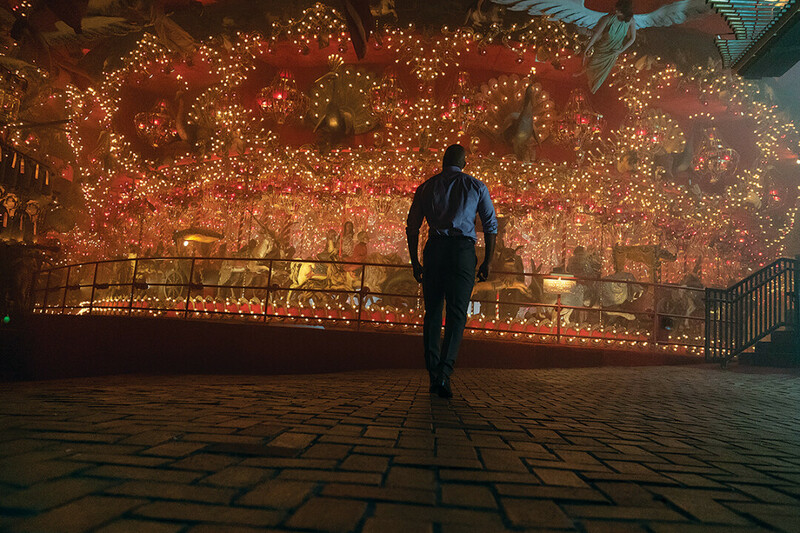 Wisconsin is a long way from Hollywood, but that doesn’t mean that filmmakers haven’t come calling when they need eye-catching settings – from space-age museums to historic banks to the world’s largest carousel – for their action blockbusters and costume dramas. Here are some real-life Wisconsin locations that have been featured on the big (and small) screen that you should put on your travel bucket list. The 42,000-seat retractable-roof stadium is obviously seen on TV frequently as the home to the Milwaukee Brewers (who just opened their season there March 28 against the Cardinals). It also made it to the big screen in the 2004 comedy Mr. 3000, which centered on a former Brewer (played by the late, great Bernie Mac) who has to come out of retirement to preserve his place in the baseball record books. Miller Park’s predecessor, County Stadium, also served as a film set, in this case as a stand-in for the home of the Cleveland Indians in the Charlie Sheen-fronted comedy Major League in 1989 (which also featured real-life Brewer play-by-play announcer Bob Uecker). 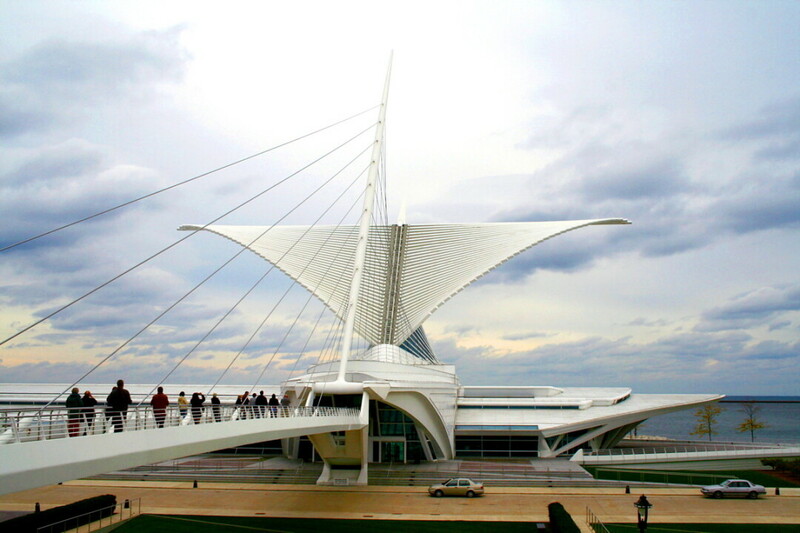 The Milwaukee Art Museum has a 130-year history and a massive collection of 25,000 pieces of art, from ancient pottery to 20th-century pop. One of its most famous artworks is part of the museum itself – the 142,000-square-foot Quadracci Pavilion, designed by Spanish architect Santiago Calatrava and completed in 2001. The pavilion is topped by the now-iconic Burke Brise Soleil, a vast, movable sunscreen with a wingspan as big as a Boeing 747, which opens and closes daily. The eye-catching brise soleil (that’s French for “sun breaker”) has made its way into several big-budget Hollywood films. For example, the museum was transformed (pardon the pun) into a car museum for billionaire Dylan Gould (played by Patrick “McDreamy” Dempsey) in the billion-dollar blockbuster Transformers: Dark of the Moon. In the flick, Sam (Shia LaBeouf) compares the building to the Starship Enterprise (although – spoiler alert! – Dempsey turns out to be one of the bad guys). The museum has also made an appearance in the comedy Bridesmaids (which was set in Milwaukee, although it was mostly filmed elsewhere) as well as on American Idol and even in a Victoria’s Secret commercial. Never heard of Blood Hook? Well, you’re in for a treat – if your idea of a “treat” entails watching copious amounts of fake blood spurting from fishermen being murdered by a giant muskie lure on a northern Wisconsin lake. This low-budget horror-comedy from 1986 was filmed on location in Hayward, which is famed as a fishing destination. 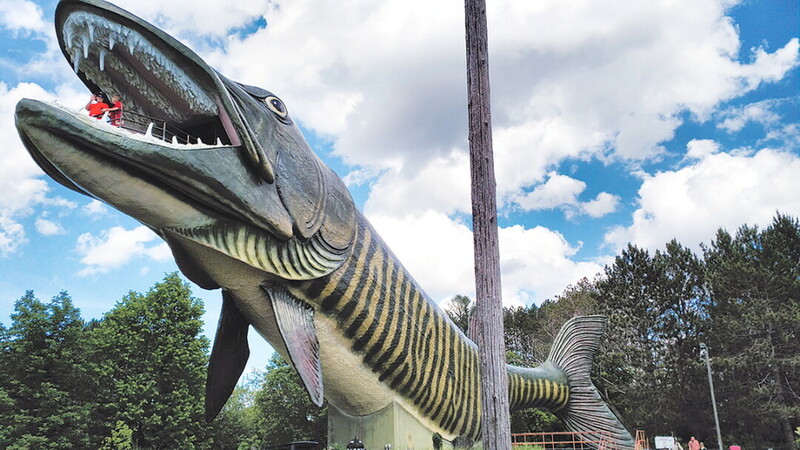 In fact, Hayward is home to the Fresh Water Fishing Hall of Fame & Museum, where you’ll find the World’s Largest Muskie: a four-story fiberglass monster big enough to swallow a bus. This quirky roadside attraction – as well as the lakes and woods around Hayward – are feature prominently in Blood Hook. If a slasher film set against the backdrop of a fishing tournament sounds like the target of mockery on an episode of Mystery Science Theater 3000, it’s for good reason: It was directed by Jim Mallon, who went on to help launch MST3K a few years later at a Minnesota cable station. “When I used to dream about going to college, this is how I always pictured it,” Rodney Dangerfield proclaims while walking down UW-Madison’s iconic Bascom Hill in the 1986 flick Back to School. The late comedic genius stars as a wealthy man who decides to (you guessed it) go back to school by enrolling in the same college as his son, Grand Lakes University – in reality, the campus of UW-Madison. Dangerfield and Co. engage in all the college hijinks you would expect in an ’80s comedy: hot tub parties, dance parties, beer parties (where the cops show up not to write underage drinking tickets but to deliver more Miller Lite). According to a 2016 article in Isthmus magazine, the filmmakers scoped out numerous campuses before settling on UW-Madison. “It was clear that this was absolutely the iconic, perfect campus,” cinematographer Thomas Ackerman told the magazine. “There’s hardly a way to frame it, or a direction to point the lens that did not convey ‘the halls of ivy.’ It was perfect for us.” Campus settings that made it into the film include Library Mall, the Memorial Union Terrace, Science Hall, the Red Gym, Helen C. White Hall, Observatory Hill, and more. If you’re interested in film, now’s the time for a road trip to Madison, where the annual Wisconsin Film Festival runs April 4-11. You’ll have the opportunity to check out more than 150 films from around the world and here at home. Find out more at wifilmfest.org.